Marky Bey - Call on Dolly! Marky Bey on Pearl Bailey and Cab Calloway's Hello, Dolly! Marky Bey is an African-American TV and film actress of the 70s. 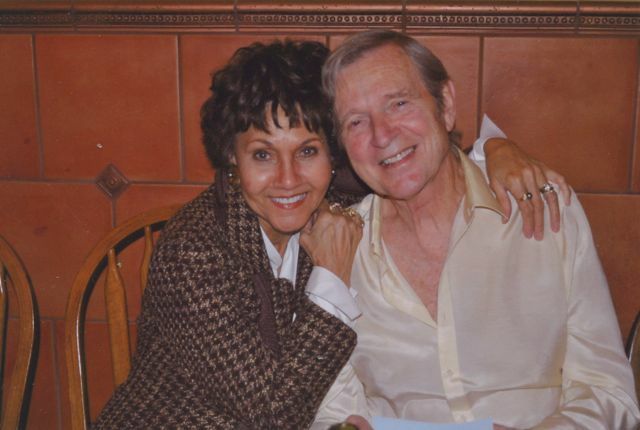 She starred in Sugar Hill and had a recurring role on Starsky and Hutch. 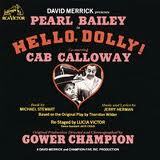 At the time of Hello, Dolly, she spelled her name with an "I”. Marky's nickname as a child was always Marky, short for Marqueeta. She used it starting with her career in Philadelphia at 15 .She was later talked into Marky with an "i" because it was more 'feminine'. Later , she just said, screw it...she was 'going out' just like she 'came in'. So she changed it back to the original spelling. If she were given the opportunity to go back, Marky would not change a thing. On the dark night when it was their company’s turn to perform for all the other Equity houses, she got great applause doing Mrs. Rose crossing that stage at the St. James Theater. Marky brought a style that was all her own, her own freshness of delivery. She didn’t continue to tweak her performance after the show opened. 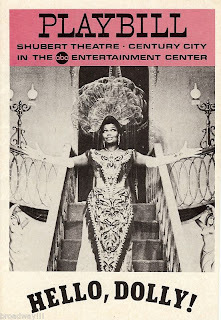 Marky’s thoughts on Pearl Bailey are that she was an artist, a DIVA, a master of comic timing, a teacher, a “second mother” as she signed her book to Marky. There was never a time when she did not own the stage she was on. Marky fell in love watching Dolly/Pearl’s entrance down the stairs into the Harmonia Gardens each show for the title number and the eating scene with Horace that followed it. For most in this company, they were in their early twenties and it was their first encounter with “Celebrity Royalty.” There were ups and downs for some, Marky included. 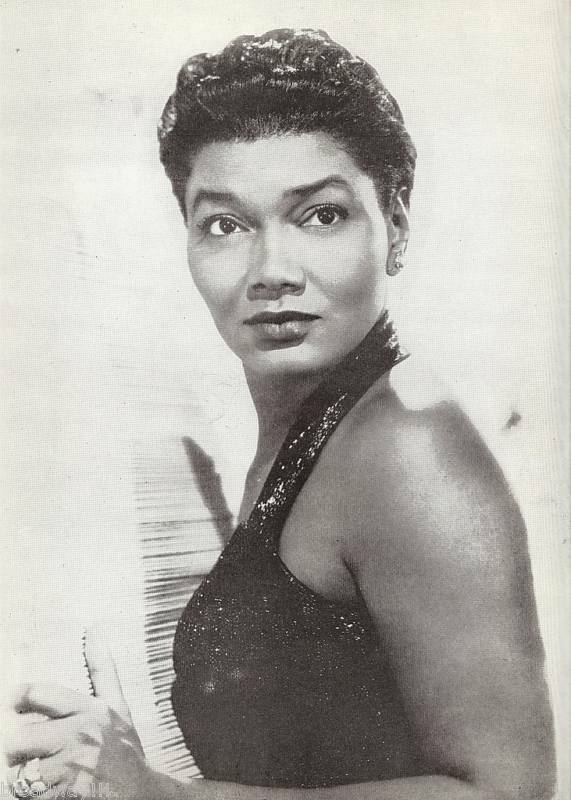 Initially when Marky was cast, she was intimidated at the thought of playing opposite a star of Pearl Bailey’s magnitude. It was the “celebrity royalty” thing. In actuality, she wouldn’t do anything differently. confidence. This production of Hello, Dolly! was unique. 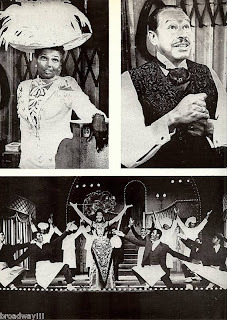 They were the FIRST all black company of Hello, Dolly! 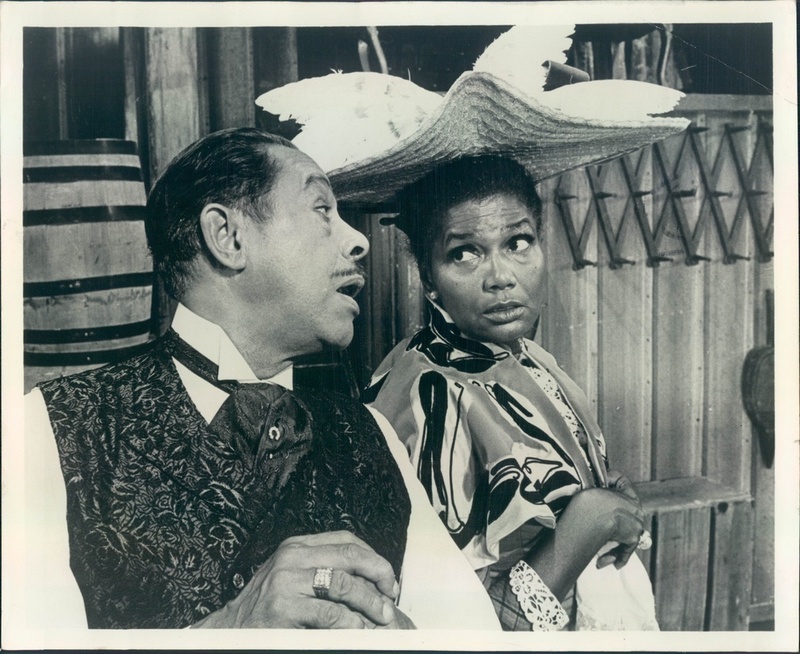 Not only did they reach the inquisitive white theater going community, but now the black community became even more engaged. Their company consisted of a bouquet of black performers, Pearl Bailey used to refer to this as her flower garden, from the very light in skin color to the very brown. They were MARVELOUS!!!!! performance as the scenery was coming in for Put On Your Sunday Clothes. so as not to interfere with the number! for example. It was a large pink question mark shaped feather atop the hat. 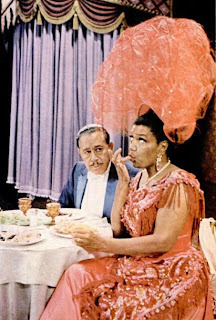 around the passarelle with Cab Calloway singing Won’t You Come Home, Bill Bailey? her a charm bracelet which she still cherishes to this day. but continued to work together. National Theater in Washington, DC. Dolly Gallagher Levi! Marky Bey has earned the right. "common interest", or themed cruises for over 25 years. (for miniaturists), and Murder Mystery. used by the detectives of the Mystery Cruises. Check out their website.